The evolution of technology has seen everything from business processes to communication systems going digital. Industries from various facets like accounting, construction, health care, and others are adopting the digital transformation with open arms. The accounting operations, however, have gone through different phases. From the good old days of maintaining ledgers containing tons of paperwork to the introduction of computers, with every passing second, the digital transformation changes its course to something new and improved. The CPAs also have to keep updating themselves as well as their accounting process in accordance with the latest digital trends. Adopting the digital world can help CPAs optimize their process, manage their time, and reduce operational bottlenecks and hassles. Moreover, it can help them reach out to prospective clients and showcase their reputation. Here is an infographic from Ace Cloud Hosting depicting the various aspects that can transform a CPA into digital CPA. Probably the most significant technology in the past couple of decades, cloud has proven to be highly beneficial with its way of functioning. 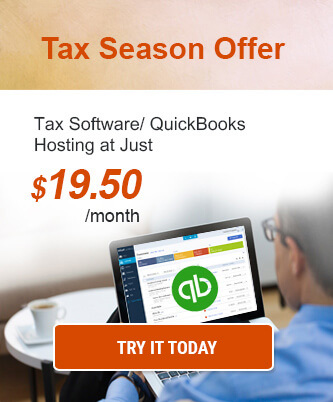 For the CPAs, however, the cloud offers a complete accounting solution. It offers flexible scaling to the accounting process with hardware-independent solutions. You can access your process from any remote location at any time of the day. Cloud computing improves the collaboration among multiple users that help streamline the process. High-performance cloud computing servers never let you experience any performance issue with respect to functioning. The accounting operations can now be handled on mobile devices such as smartphones. It is now possible to keep track of your work even while on the move or away from the office premises. In the conventional setup, the CPAs had to sit behind a desk all day to go about their day-to-day operations. This lack of mobility resulted in missing out on some external work commitments. However, with mobile accounting, the CPAs can be on top of their game even when they step out of the office. The dominance of social media in the current marketing scenario cannot be ignored. Every industry uses the platform of social media in one way or another to showcase its presence and spread product awareness. Furthermore, social media can be used to connect to individuals sharing your interests and preferences. CPAs can also leverage social media to make the people aware of their services. Moreover, it can be used for brand promotion and reaching out to the potential client base. Social media can also help CPAs to interact with like-minded people and share their opinion. As the accounting process is migrated into digital platforms, so has the data. The CPAs are responsible for handling some critical data concerning customer’s personal information such as payment information, account details, etc. Hence, the protection of data becomes a top priority. 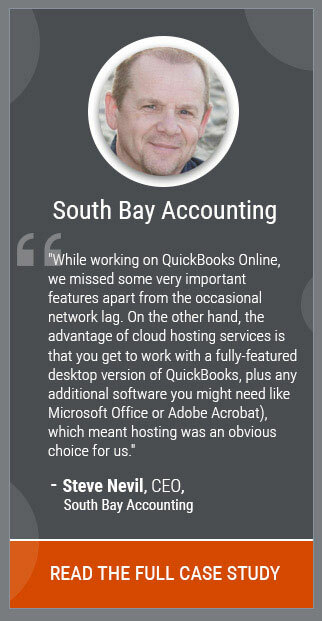 The CPAs should be wise in choosing the accounting software and the cloud provider. In addition, security safeguards should be deployed in the local premises as well. For many CPAs, adopting these trends will be hard at first. But once you start using it in your daily life, you’ll become more efficient, make much of available resources and delight customers with better services. 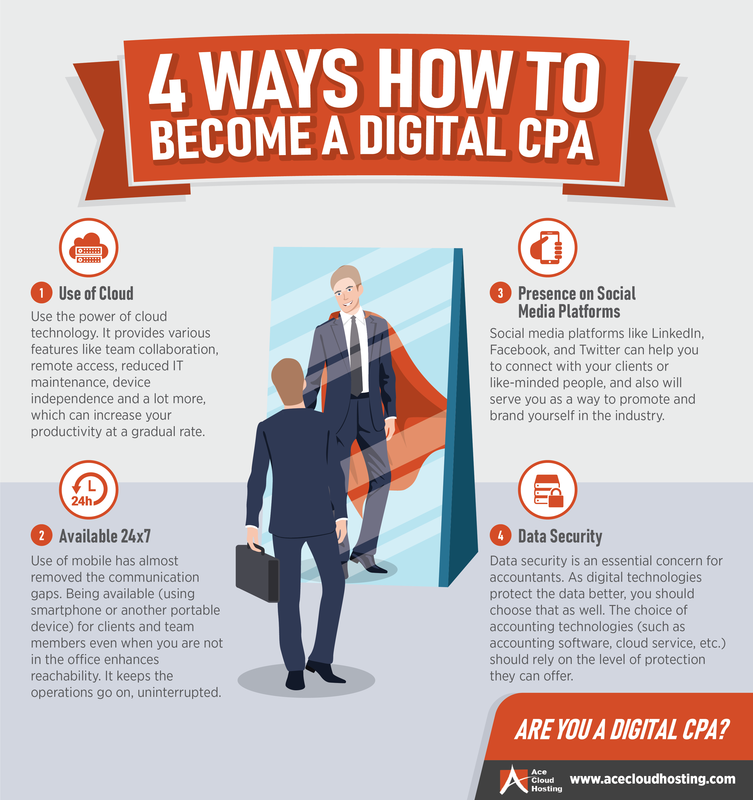 Are you ready to become a ‘Digital CPA’?